These three issues (re)introduce an important character only glimpsed once before, as well as adding new wrinkles to Captain America’s relationships with both the Falcon and Sharon Carter. Issue #160 opens with Cap and Sam fighting some random thugs, and Cap reminds us of his new super-strength (picked up in the last storyline), although not everybody’s happy about it. …feelings that are just the latest manifestation of Sam’s uncertainty about being Cap’s partner (and would, again, lead to more substantial storylines for the Falcon). Meanwhile, a new villain named Solarr, who gets his power from… well, you know… is terrorizing Wall Street, and eventually attracts the attention of Captain America. Not only is his newfound strength noted, but also the strength of his shield (which has been touched on here and there for many issues now). By the time Sam reaches the scene, the bystanders make it all clear how “much” he’s needed… which is the last thing Sam needs to hear right now. The “macabre mystery of Sharon Carter” will dominate the next two issues, but issue #161 nonetheless opens with Cap distraught (and admirably self-aware) about how his new strength has affected Sam. …he nonetheless has no doubts that he can find her. After visiting S.H.I.E.L.D. and not getting any info out of Fury—at least he got his motorcycle back, which he left there back in issue #141—he passes an altercation in an alley, and recognizes the “victim” as none other than the Falcon, being hassled by Rafe and his gang for taking a walk with Leila. 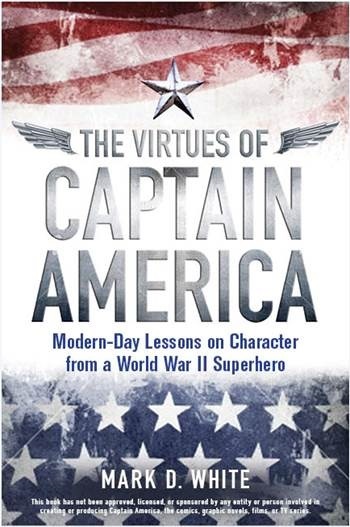 Cap wisely stays back and lets Sam take care Rafe’s thugs by himself, and then decides it’s a good time for a heart-to-heart… one that’s about a lot more than Sam’s feeling inferior next to Supercap. A fantastic statement of unity among difference, as relevant today as in the early 1970s. Leila doesn’t think so, though. Sam tries to pull Cap back down to earth and to the topic at hand, and then lets Leila know where he stands as well. Hey, remember Sharon and her macabre mystery? She wakes up in a macabre mysterious castle in macabre New England, with no idea how she got there, but the nice (and just a little macabre) Doctor Wolfgang explains everything. And we meet the Macabres… I mean, the Carters. “She”? Could they mean… no, it couldn’t be. Dr. Faustus? Well now I’m suspicious. Operating off a tip from where Sharon rented her car, Cap and Sam head to the castle, but are attacked on the way and subdued… foiled by putting too much value on friendship! I guess everyone knows Cap has super-strength now. Cap and Sam wake up with Sharon on a simulated World War II battlefield, thanks to Dr. Faustus and his devious plan to defeat Cap in body and soul, as well as his plans for the mystery woman, about which we’ll learn much more in the next issue. And Cap reminds her that the battlefield is no place for smoochies! Now you know, especially if you’ve been keeping up with this blog… but we’ll wait until it’s revealed below. Meanwhile, our heroes—who didn’t see Faustus and the mystery woman—find themselves in the Psycho-Pit, where they are tortured by distorted images of old foes… and old friends. Even though they realize the nature of the strange visions, Cap can’t help but be affected by the sight of Bucky, crying for help. After Cap, Sam, and Sharon escape, they find the Carters, who reveal the hand of Dr. Faustus behind everything… and the identity of the mystery woman, whom we did indeed meet before (without knowing her name or her connection to Sharon). Sharon also uses this revelation to explain why she resisted her love for Cap (presumably in addition to her duty to S.H.I.E.L.D., as she argued earlier). He may not have guessed, but I’m sure he suspected: The link between Sharon and Peggy was forged by Stan Lee and Jack Kirby in the Tales of Suspense days when Sharon (also unnamed for a long time) reminded Cap of “the woman he loved in the war” when he first saw her in issue #75. …which is interrupted by some of the same thugs who jumped Cap and Sam outside. Even though Peggy has been catatonic (I guess?) for many years, she jumps into action and shows the same heroism we saw back in her first appearance. Cap is concerned about her physical and mental state, and tries to steer the battle away from her so she doesn’t get hurt. Cap considers his youth (and Namor’s) for a second, a twist on the “man out of time” theme that discovering Peggy has highlighted: youth ain’t all it’s cracked up to me when those who know have gotten much older. (Except Nick, but we don’t find out why until Marvel Spotlight #31 in 1976). Faustus manages to get the drop on Cap with some sort of pressure ray, but Peggy comes to the rescue again, using good old-fashioned pressure with perfect aim. On the final page, Cap gives his “moment of Zen,” and our cast assembles for the denouement, with Sam happily sticking with the gang for the time being, and an ominous warning at the very end.